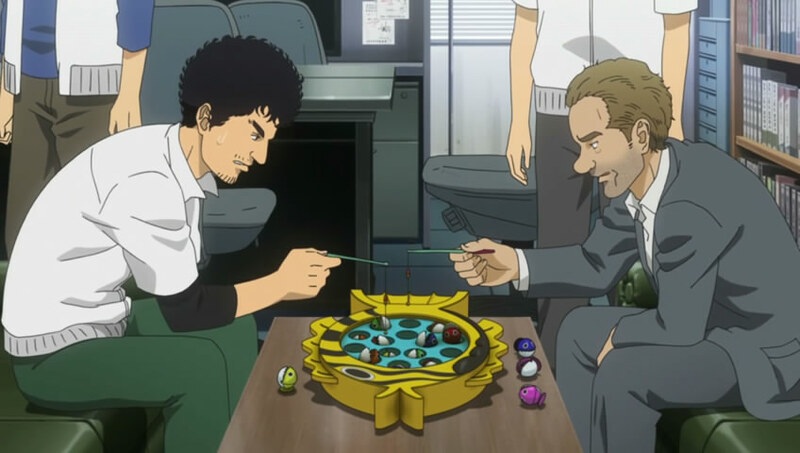 Space Brothers continuously comes off as an incredibly well-researched show. That’s not just in the macro sense (knowing which NASA agencies handle what, and the order in which astronaut training proceeds) but in the very micro sense as well; this episode was a great window into the minds of people smack in the middle of a design process trying to solve five problems at once. It’s worth noting how the writers defined the problems (obstacles, uneven terrain, weight limit, parachute deployment) and various suboptimal solutions (Guided parachute descent, “jump” mechanisms) before coming up with the final solution. This adds not only realism, but makes the sponge tires solution seem appropriately more impressive. I honestly felt like I was watching a documentary on this competition. The discussions over CanSat design were just so free-flowing. Normally I praise the direction in this series more than the writing, but you can’t give credit to anything *but* how well researched this show is when it comes to why these design sessions were so engaging and real. Meanwhile, Pico continues to be an extremely charming character. The shots of him in the background, playing with penguins but gradually starting to pay more and more attention to the conversation, were delicious. It helped that, by the point when he actually started designing the tires in his head, I was as into the discussion as he was. When he walked up and literally gave a “power of love” speech explaining the tradition behind women folding parachutes, it was adorably funny and just a tad heartwarming. Nothing less than what I’d expect from a character who drinks and plays that magnetic fishing game I used to love while I was a kid while on duty. Pico and Vince’s brotherly love was interesting enough as it is, and that dynamic is sure to expand when we get a flashback to their childhood next week. Plus, given how nervous Mutta already was talking to Vince, him having drinks with the two of them should be a hoot. This entry was posted in Anime, Currently Following and tagged Anime, First Reactions, Power of Love, Puns Akimbo, Realistic Engineering, Solid Research, Space Brothers by torisunanohokori. Bookmark the permalink. 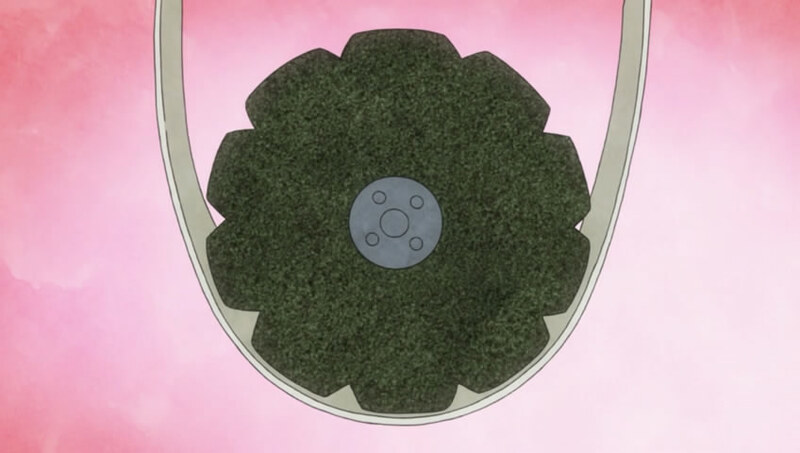 To me this was the most enjoyable this series has been since Hibito’s mishap on the moon.